Democrats are expected to take control the U.S. House of Representatives after Tuesday’s midterm elections, according to projections by U.S. networks — a win that will have significant consequences for President Donald Trump’s agenda — while Republicans appear to have kept control of the Senate. 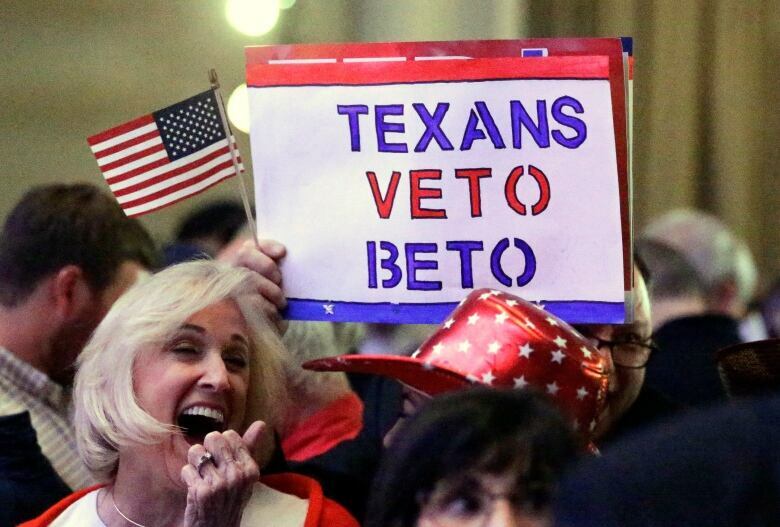 Republican Mike Braun ousted Indiana Democratic Sen. Joe Donnelly, incumbent Ted Cruz held off challenger Beto O’Rourke in Texas and Marsha Blackburn defeated former Tennessee Gov. Phil Bredesen to keep a hotly contested Senate in Republican hands — all important steps in the party’s drive to keep hold of the upper chamber. Democrats meanwhile seized early victories in contested House races in Florida and Virginia, but lost a high-profile contest in Kentucky. You can follow CBC News’s Live Blog here. 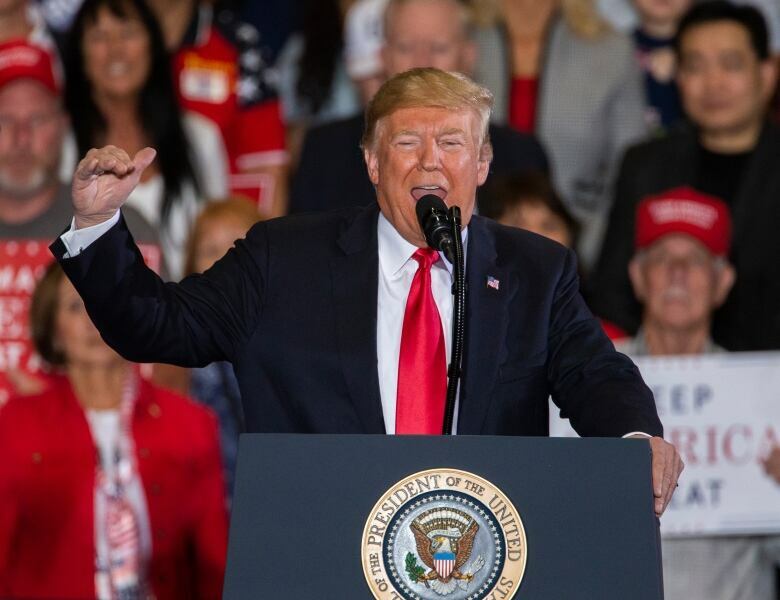 Trump spent election night watching returns with family and friends at the White House, after concluding a six-day rally blitz in Missouri late Monday. Trump packed his closing speeches with hard-line immigration rhetoric and harsh attacks on Democrats. He has tried out defensive arguments, noting that midterm losses are typical for the party in the White House, that there were many Republican retirements, and that he kept his focus on the Senate. Minutes after both the House and Senate projections were made, Trump tweeted an uncharacteristically short and concise message. Without his fellow Republicans controlling the House, Trump could face an onslaught of Democratic-run investigations and paralysis of his policy agenda. More women than ever were running, along with military veterans and minorities, many of them motivated by Trump’s rise. Among the winners were several who broke racial, age and other barriers. At 29, Alexandria Ocasio-Cortez is the youngest woman ever elected to Congress. She shocked many, including herself, last spring when she came out of nowhere to defeat 10-term Rep. Joe Crowley in New York’s Democratic congressional primary. In Virginia, political newcomer Jennifer Wexton defeated two-term Rep. Barbara Comstock. The Republican incumbent had been branded Barbara “Trumpstock” by Democrats in a race that pointed to Trump’s unpopularity among college-educated women in the suburbs. But Democrats failed to defeat a vulnerable incumbent in Kentucky, where Republican Rep. Andy Barr won over former Marine fighter pilot Amy McGrath. 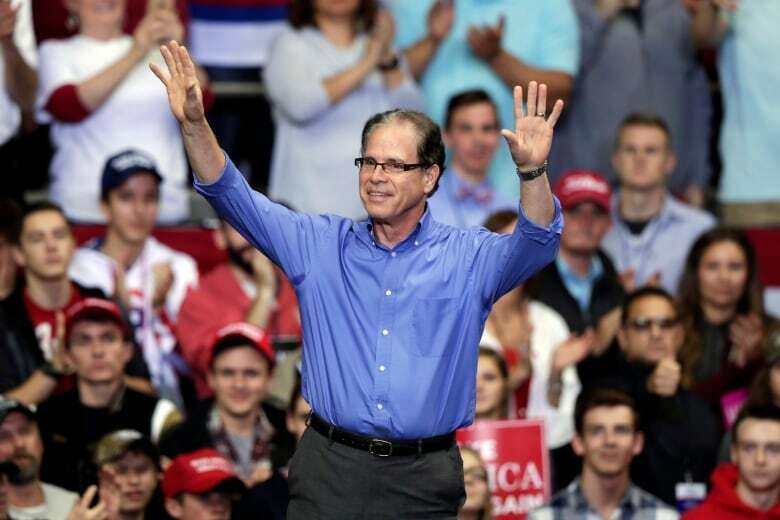 On the Senate side, they also failed to fend off Republican businessman Mike Braun in Indiana. Still, U.S. House Democratic Leader Nancy Pelosi declared Wednesday will be a new day in America. “The Democratic Congress will be led with transparency and openness so that the public can see what’s happening and how it affects them,” she told supporters. Pelosi’s spokesperson Drew Hammill said Trump called Pelosi to congratulate her and to note her tone of bipartisanship. Senators Bernie Sanders of Vermont and Elizabeth Warren of Massachusetts easily won re-election as they consider bids for the Democratic presidential nomination. Other 2020 prospects on the ballot included New York Sen. Kirsten Gillibrand and New York Gov. Andrew Cuomo, who both held onto their seats, too. In Georgia, Democratic candidate Stacey Abrams wouldn’t concede the tight race against Republican Brian Kemp. “You’re going to have a chance to have a do-over,” Abrams said, hinting at a runoff. Sanders said Trump called Senate Majority Leader Mitch McConnell “to congratulate him on historic Senate gains” and also called outgoing House Speaker Paul Ryan and Democratic Senate Minority Leader Chuck Schumer. Tuesday’s elections were the first opportunity for Americans to have a say about Trump’s presidency. Trump has encouraged voters to see it as a referendum on his leadership, pointing proudly to the surging economy at recent rallies. Healthcare and immigration were high on voters’ minds as they cast ballots, according to a wide-ranging survey of the American electorate conducted by The Associated Press. Both parties reported strong voter turnout. But problems that arose during early voting carried into Election Day as some voters across the country faced hours-long lines, malfunctioning voting equipment and unexpectedly closed polling places. One voter in Gwinnett County, Ga., Ontaria Woods, waited more than three hours and said she saw about two dozen people who had come to vote leave because of the lines.